Ever look at the stars in the sky in pure wonderment? Us too! For hundreds of years, constellations have astounded cultures from around the world. This year, constellation projects have become super on-trend in the crafting world and we couldn’t be happier! Not only are they pretty but they will make your house sparkle in no time! To help bring a twinkling look to your home décor, Maxine is going to take you step by step to create this gorgeous constellation craft you’ll be proud to display! 1. Cut a piece of Dovecraft black foam down to 21cm x 15cm, in a banner shape. 2. Print the free template and cut around it to fit on your foam, adhere with Washi Tape. 3.Thread a length of Dovecraft Twine onto a needle and starting from the back of your foam sheet, stitch along the template as shown. Finish with the twine at the back and secure the end. 4.Carefully remove the template from your foam sheet. TIP - You might need to cut some places so that it can be released easily without pulling the stitches. 5. Take the smallest star from the Dovecraft Fairy Dies set and die cut a selection of stars on to a sheet of Dovecraft A4 gold mirror card. 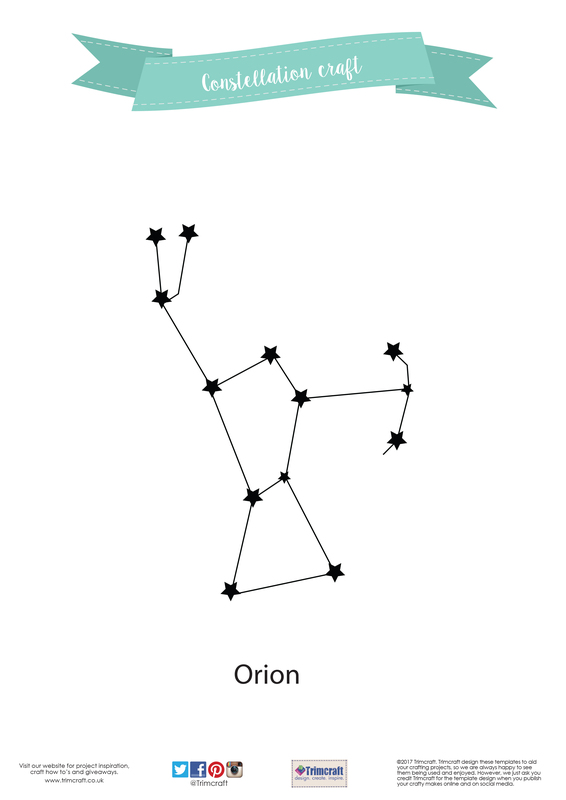 Glue each one to your foam, following your constellation printable. 6.Cut a piece of Dovecraft A4 Kraft card down to fit the back of your foam sheet, allowing room for a border around the edge and a 2.5cm gap at the top. Adhere to the back of your foam sheet with Dovecraft Perma Fix tape. 7.Use a craft knife to create two small slits on the top left and right hand corner of your foam sheet. 8. Thread your rod through by pushing it through the two slits you created. 9. Add a length of Dovecraft Twine to the ends of your wooden rod to make a loop to hang your banner. 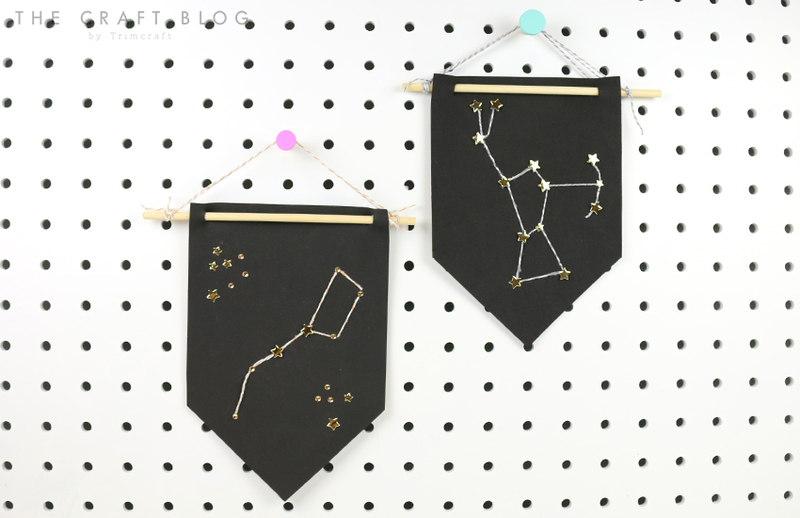 Now your constellation craft is ready to hang! This would look especially nice hung above your bed! You could create a different look by following a constellation pattern from an image online! These banners will make a fantastic gift for an astronomy lover! How will you use our free template? We would love to see how you use it so don’t forget to tag us on social media and upload your projects to the inspiration area.